Successful businesses by definition, are organized endeavors. Attention to objectives, strategies for growth, and tactics in support of those strategies take on a self-defining hierarchy that delivers on an organization’s’ mission. Conversely, and frequently this is the case, the demise to a business is it’s lack of attention to details, accelerated by disorganization. In this sense, disorganization — the mess in your office, workplace or job site — leads to inefficiencies and a drain on resources — resources that exceed just monetary losses. Disorganization has a drain financially, on time and on emotional investment in a business. Brother International conducted a nationwide survey of businesses, garnering responses from nearly 800 U.S. employees. The results indicate that searches for lost and misplaced materials – which accounts for nearly 38 hours, or approximately one work week annually, per employee – may have a profound impact on professional perception, productivity and morale. In addition, the 2010 survey found that the costs associated for full-time employees just looking for misplaced items in the office tops $89 billion annually. And it’s not just manufacturing or the trades afflicted by costs of disorganization, the Brother International survey summarizes that due to a disorganized professional office, the average minutes per day spent looking for misplaced items in the office and on the computer is 19; it represents 3.8% of total working hours in a typical week. The estimated annual dollars spent looking for misplaced items in the office and on the computer exceeds $17 billion among full-time office professionals. To put things in perspective for small businesses and departments within larger enterprises, Insightly.com — a purveyor of CRM and related management software — estimates that in an office of 20 employees, $42,000 annually is lost to managing email inefficiently, corresponding project mismanagement and redundancies; $40,000 to inappropriate customer follow-up; and $86,000 to unfinished projects, all byproducts of disorganization. Add in various other casualties of disorganization, including what the site calls “social (media) stagnation,” that business of 20 employees may be losing up $266,000 in lost revenue and opportunity costs. Disorganization in the home can be just as disruptive. According to the organizing site ClutterInterrupted.com, not only do disorganized Americans pay higher bills (they can’t find billing statements, thus incurring late fees), but they spend nearly an hour a day looking for “things.” Can you quantify that hour’s value at home. In that context, the site reports, managers and executives earning $65,000 annually costs their companies more than $8,000 in lost productivity also spending an hour a day looking for items in their offices. 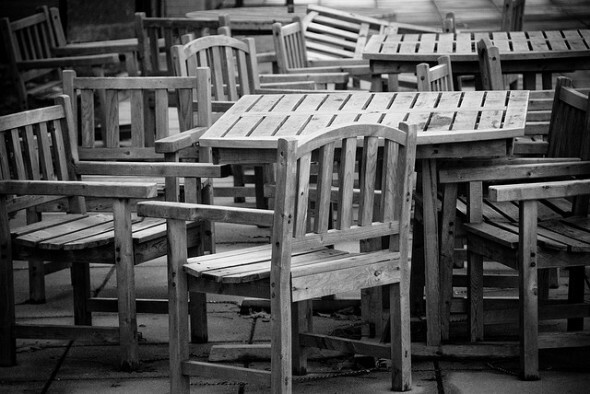 Every mess, like every business, is unique. There is no one-size-fits-all prescription to organization. But continuous, even small, efforts can quickly become habits and set examples for organizational expectations. Sue Becker, a CPA and professional organizing consultant, recommends these three steps to get started. 1. Select one organizing project. What area of your (business) is most pressing or stressful? This is a great place to start. It could be anything from organizing a cluttered (file) to setting up a bill-paying system. Work systematically and don’t try to rush through it. 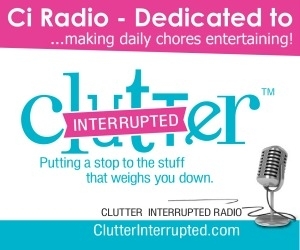 Tracy Hoth at Clutter Interrupted suggests targeting “The Paper Clutter Zones,” those festering homes to dumps of disarray. 2. Schedule time to address this project. If it can’t be accomplished in an evening or over a weekend, set aside a regular time every week to focus on this project. It’s important to stick with it until it’s complete. 3. Find ways to keep moving forward. If you do get stuck, find ways to forge onward. Refer the challenge to a source, if need be, that can help you resolve the impasse. Don’t use getting stuck as an excuse for failing to finish the project, otherwise you’ve compounded the damage done by the mess in the first place. See what works for you. Coach your team: reinforce the importance of organization; then provide support, tools and guidance for your employees’ organizational success. When you initiate an organizational mind set in your business culture, you not only save money, but increase productivity, elevate job satisfaction and enhance morale. Why not start today? What secrets to organizational and personal efficiencies do you use? What hasn’t worked?